Extra 10% Off on making payment using HDFC Debit / Credit Card. 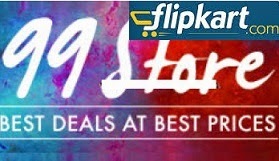 Under this Offer, any Cardholder who, during the Offer Period, purchases any of the following- Select Phones (excluding some Samsung, Redmi, Realme, Honor and Apple phones), Phone accessories, Television (excluding Mi LED TV 4C PRO 32), Air-conditioner, Washing Machine, Microwave Oven, Chimney, Dishwasher, Refrigerator, Audio, Camera, Laptops, Printers, Tablets, Monitors, Desktops, Wearables (each a “Product“, collectively “Products”) on Amazon.in, using the Card issued by the Bank, will be entitled to receive an instant discount of 10% for such purchase of the Product(s), subject to a minimum transaction amount of INR 10,000. Customer needs to check the product page first for offer eligibility. The maximum discount provided under this Offer will not exceed INR 1,500 per Card. The Offer is valid from April 11, 2019 to April 13, 2019 (both days included), or until stocks of the Products (defined below) that are made available by the sellers last, whichever is earlier (“Offer Period“), unless revoked or extended by Amazon (in its sole discretion), without any prior notice and without any liability.